Some days you go thrift-shopping and you walk home with empty hands and a defeated spirit. It’s maddening when hours of trawling through the racks at your local oppy turn up nothing but faded tee-shirts and stretched-out knits. But then there are days like last Saturday, which make up for all those disappointing trips. Last Saturday the sun was shining and I decided that it was too nice a day to stay in bed. It seemed like the perfect morning to take myself out to the library and then for a spot of op-shopping. 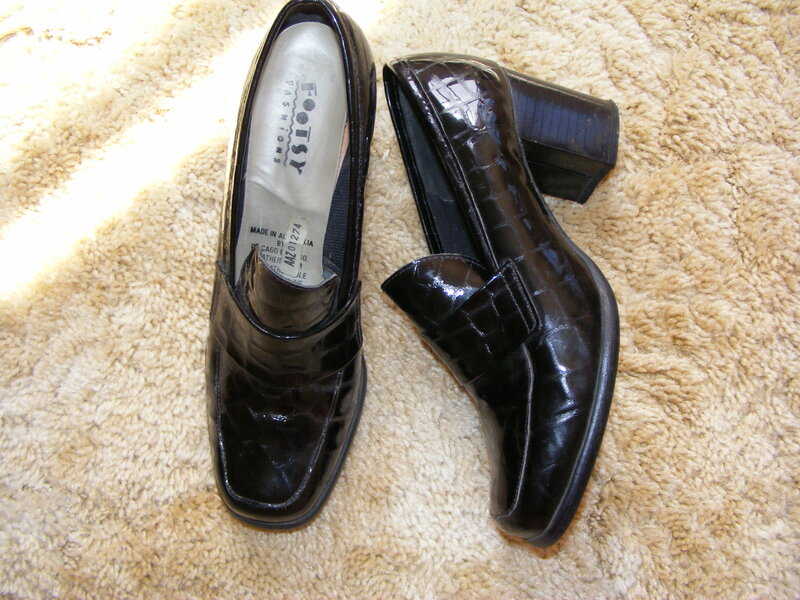 I’ve been after a pair of heels that have bow ties at the front just like these for quite a while.  They’re a great fit and super comfortable. 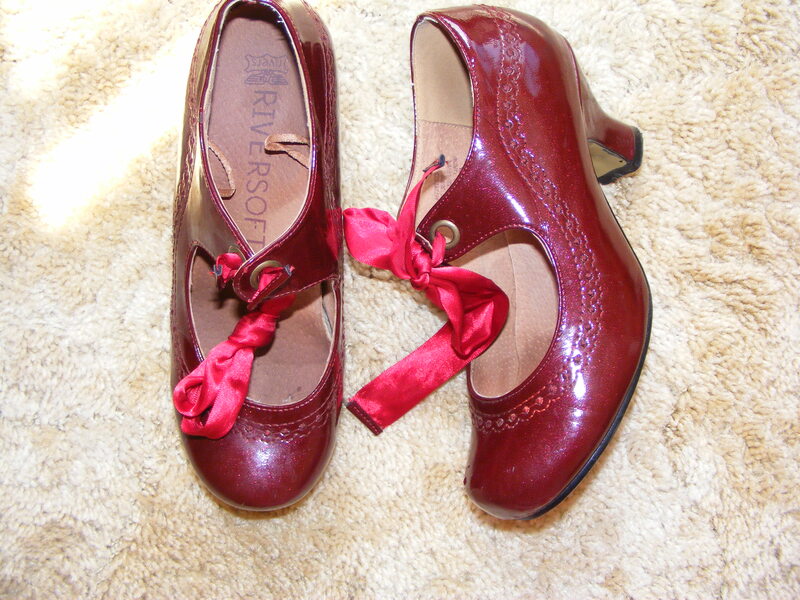 The lovely burgundy shade will go well with lots of my dresses, and I imagine they’d also look quite cute with shorts in summer. 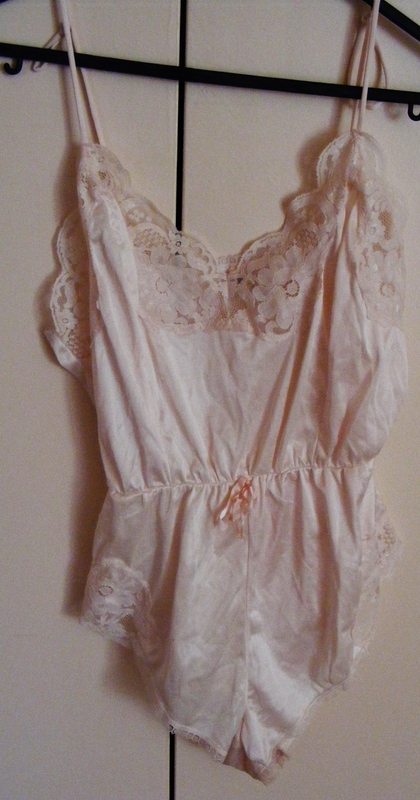 I’m a bit obsessed with vintage nightwear. I have been meaning to replace some of my saggy-baggy PJs with slinkier versions, and I found a couple of perfect items. 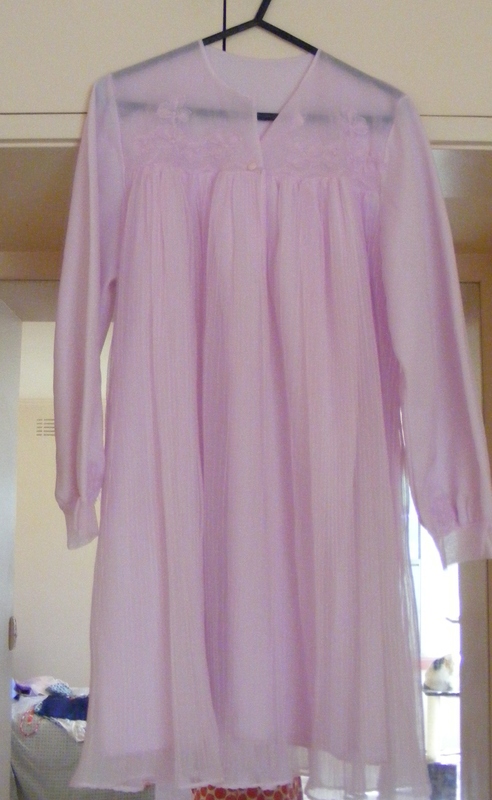 Like this peachy-coloured nightdress. This frothy 1960’s confection is divine. I’ve wanted one of these for years, but whenever I saw them in vintage shops they cost an arm and a leg. I paid just $3 for this baby. 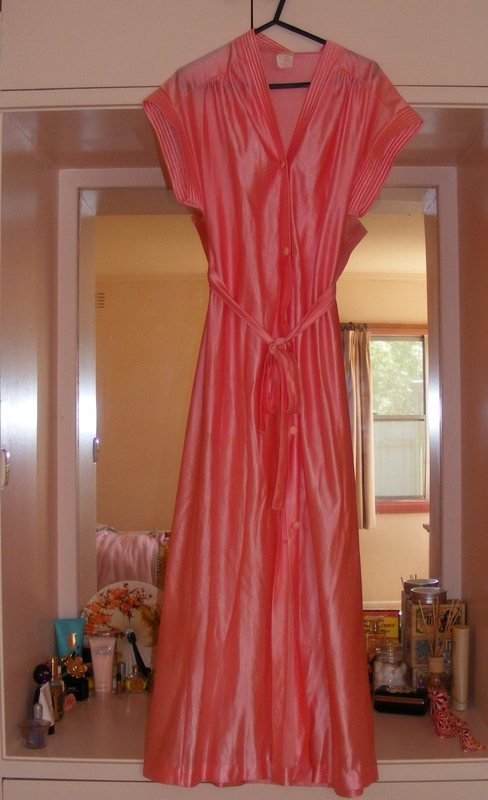 I also got this salmon-pink dressing gown. 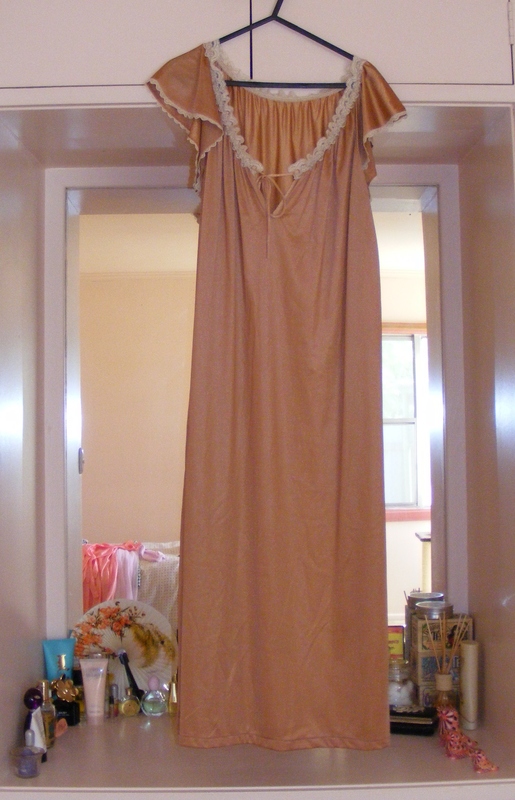 Although it would make a very pretty nightdress, I’m thinking of adding a slip and wearing it during the daytime. I think it’s just too pretty to only wear around the house, and I love the colour. After the amazing haul I got from the first op-shop, I actually considered not going on to the other two. I’m so very glad I did though, because I found even more treasures at each of the other charity shops in town. 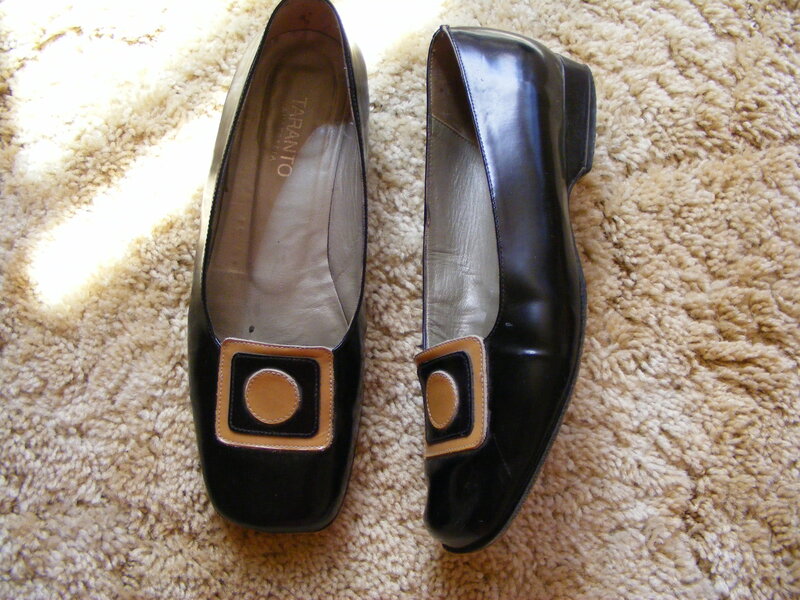 I’ve wanted a pair of 1960’s mod flats for as long as I can remember. While I’m not sure if these are actually from the 60’s (they probably aren’t) their geometric design will make them perfect for wearing with my vintage dresses and tights. I think Twiggy would be proud. They set me back a whole fifty cents. These funky pumps were too cute to leave on the shelf. They’re in great nick and I can’t wait to wear them with some of my 90’s nostalgia items. 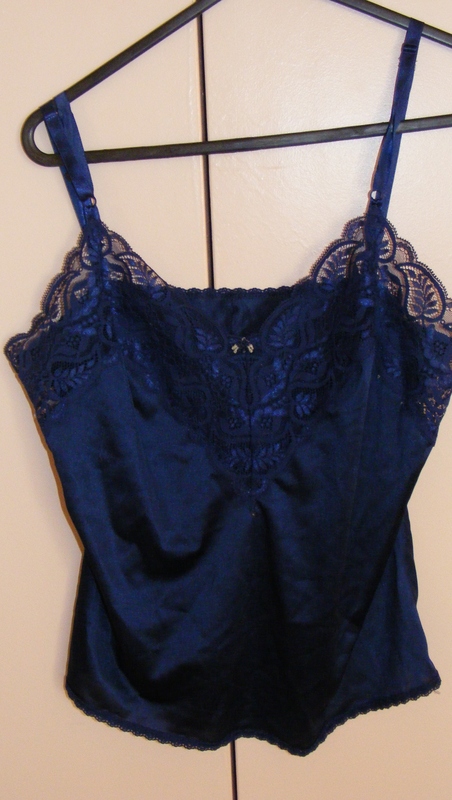 I’m a big fan of the whole “underwear as outerwear” look, and I just adore this midnight blue slip. I’m going to wear this with jeans and gypsy skirts in the summer time. 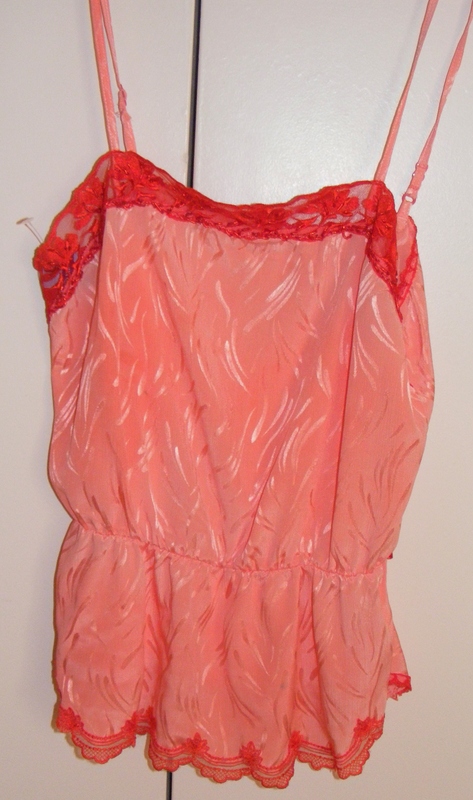 Another item on my must-have list was a set of vintage one-piece underwear just like this soft pink number. I’m planning on wearing this as nightwear when the weather warms up a bit. I also got this funky little slip top to add to my collection. I get the feeling this will get a lot of wear in the warmer months. 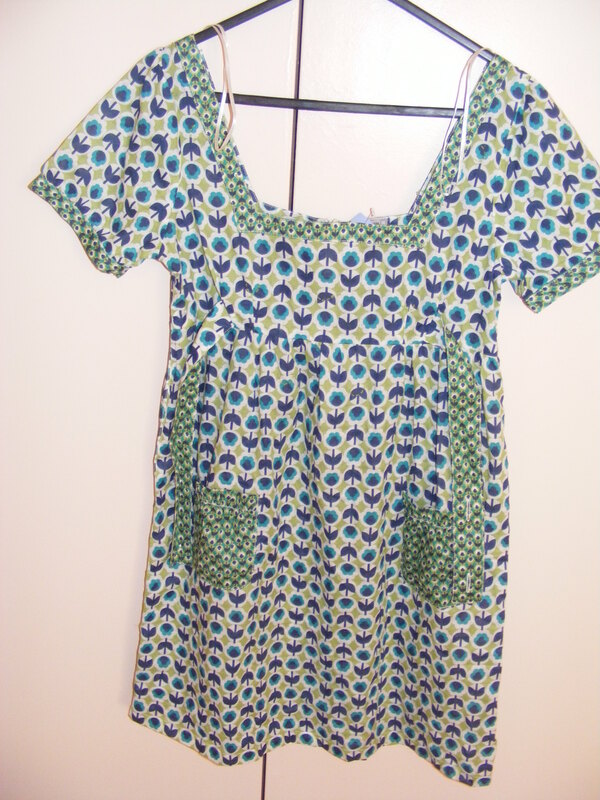 And finally this cute little repro cotton dress. At first I thought it was a tunic top, but it’s actually a mini dress. I’ll wear it with leggings or jeans underneath (it’s a tad too short for me to feel comfortable going bare-legged). And altogether I spent just $22. Seriously. I can scarcely believe it myself. It seems as though the Op Shop Fairy was smiling on me last Saturday! Haha! This is the first time in months that I’ve actually bought something from the op-shop. After months of trawling through the racks and coming home empty-handed I really hit the mother-load this time around. I know right? Best wishes on your own quest for the perfect pair of 90’s pumps. I’m sure you’ll find them one day!